Q: Best Cover? 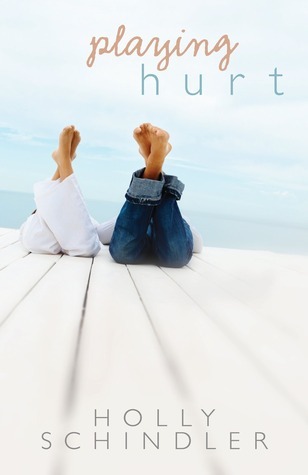 What is the best cover of a book that you’ve read and didn’t like? This question came from Parajunkee and made me think. So often I am drawn in by a cover and then the book is only so-so…so I went to dig through my goodreads records of books that I have read this year and since I am sitting at 250+ books it took a few minutes. But I finally found one. 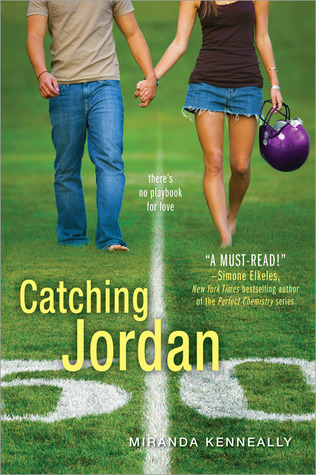 I think I might be one of the few people in the world who read, but didn’t really enjoy Catching Jordan by Miranda Kenneally. It wasn’t so much the romance aspect of the book that I had issues with (although there were some that I had, mostly focused on a TSTL high school female…and yes, I remember being like that once), but rather the perpetuating of the dumb jock stereotype (taking shop class as a senior in high school, while trying to get into the University of Alabama), or the fact that the author used a real NFL team in the book but made up her own players (I would have preferred that she make up a team – would have made it more believable). 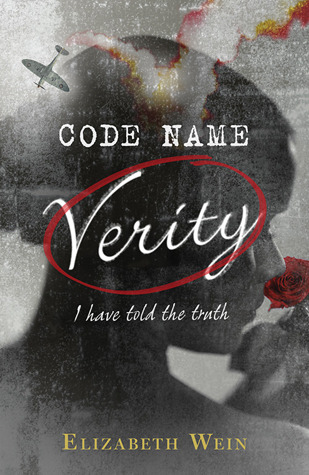 But I did like the cover – very simple, whimsical and you can obviously tell that it is going to be a YA romance off the bat. 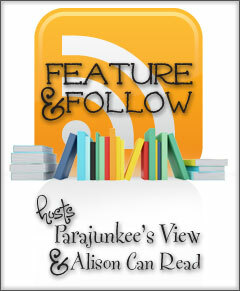 Alison Can Read’s question was much easier to answer and I knew what book I was going to use as soon as I read it. 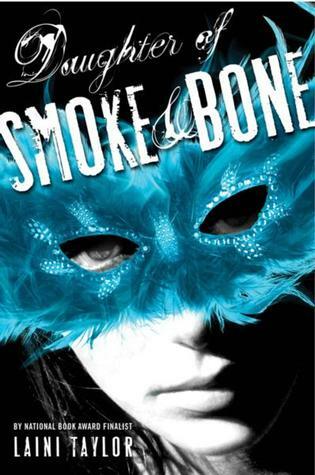 The cover of Daughter of Smoke and Bone immediately drew me to it and I was soon sucked into the audiobook. The narrator was awesome and only served to enhance the plot. This book had a great mix of contemporary and fantasy elements and made me want to visit Prague. I loved the mysterious nature of the cover, the person with the mask trying to hide their identity, but at the same time, the blue of the mask marking them more of as an individual. This book got my first 5 star read of the one, and one of only 5 that I have given out so far. However, I am now stuck waiting (albeit rather impatiently for the next book to come out, and the cover for it, seems to be equally as great and mysterious). Thanks to Tien of Tien’s Blurb for hosting the above read-along. I have to admit that I love the musical of Les Miserables, but I have never actually read the book. So with the upcoming new movie that is being released in December, I am excited to join in this read-along. Tien will be using the Signet Classics version of the book available through Amazon Les Misérables (Signet Classics) . I am still looking for a good kindle version to read – so ideas are welcome and I will post my version choice when I figure it out. I look forward to chatting with people about it. 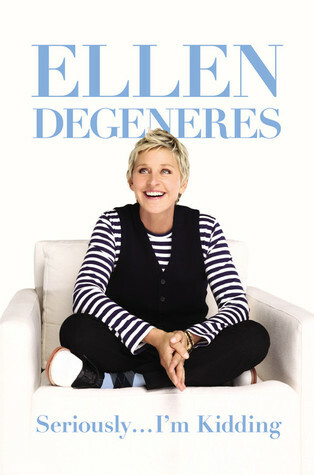 I’ll be the first to admit that I am not a huge Ellen DeGeneres fan – I don’t know why, but I just don’t really like her. However, I did enjoy her narration of Dory in Finding Nemo…I mean, I walked around for days with “just keep swimming” stuck in my head…lol! However, when I was browsing the shelves at the library for a short-ish audiobook to fill in the time towards the end of a month, and I saw that this one was only 3 hours, I figured what the heck…why not. I’ll also admit that authors for narrators typically don’t work for me because they don’t have the training that I feel they need in order to be successful. But I was proved wrong. Ellen’s narration had me in tears several times during this relatively short listen. I’m sure my co-workers were looking at me like I was insane because I was definitely laughing out loud. Over the last few months, I have discovered that various peace corps memoirs are a trove of information for various countries in my around the world challenge, because they are often set in countries that don’t have all that many book set in them, or written about them. Monique and the Mango Rains was no exception – through it we are told of the friendship that developed over the course of the 2 years that Kris Holloway was assigned to Mali for her Peace Corps job, working with Monique, who was one of the few midwives in the area, and the one who had the highest success rate in working with the women and children. For me, it was a look at two lives that were so vastly different growing up, that merged for that two year period, and then remained merged over the next several years. They never truly diverged from each other. I felt myself want to cheer with Monique and Kris when they helped save a baby from dying of malnutrition, or when they were able to replace the birthing house with funds provided by the Peace Corps. There was just so much to be learned through-out the course of the book. Ultimately through, there was a sad ending which is disclosed in the opening to the book and I felt myself tearing up as I read that. This book is a quick read, but I highly recommend it if people would like an incite into life in Western Africa in the late 1980’s and early 1990’s. 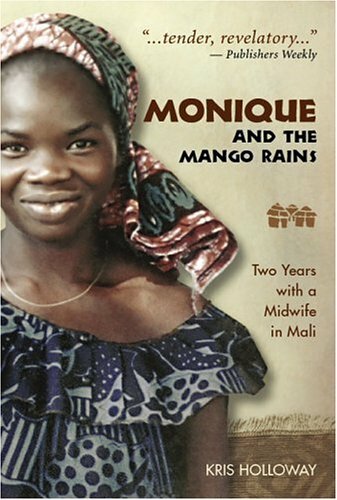 Monique and Kris’s story can be purchased from Amazon here: Monique and the Mango Rains: Two Years with a Midwife in Mali (paperback). And personally, I’ll be donating the copy that I bought to the library because who knows, maybe a teenager reading this book will be inspired to join the Peace Corps just like Kris and maybe they’ll meet their own Monique. Officer Gunnhildur, recently promoted from her post in rural Iceland to Reykjavík’s Serious Crime Unit, is tasked with hunting down escaped convict Long Ommi, who has embarked on a spree of violent score-settling in and around the city. Meanwhile, she’s also investigating the murder of a fitness guru in her own city-center apartment. As Gunna delves into the cases, she unearths some unwelcome secrets and influential friends shared by both guru and convict. Set in an Iceland plagued by an ongoing financial crisis, Gunna has to take stock of the whirlwind changes that have swept through the country—and the fact that at the highest levels of power, the system’s endemic corruption still leads, inevitably, to murder. I have to admit after reading the first book in the series, I wasn’t sure if I was going to continue. The author provided an interesting look into the world of financial crime, but for some reason it just didn’t really work for me. It wasn’t in the writing style, but rather the subject. However, I typically have a rule of trying at least 2 books in any series before deciding one way or another whether I’ll continue or not. So when the second book showed up as a review copy, I jumped on the chance to listen to it, and see if maybe that changed my level of enjoyment of the series (as it has been known to before – either for the good or the bad). And I was pleasantly surprised. Cold Comfort pick up a few months after the events of Frozen Assets, and for me, it was like seeing into the lives of Gunnhildur and her family and friends. When it came to character development, I found that this installment had much more description and I felt like I got to know them. Having the narration of Davina Porter also helped, because I can only assume that she received training in how to say certain names and words in Icelandic – although since I don’t speak the language, i can’t say so for sure…The mystery is the story kept me guessing until the very end and the person who did it, wasn’t the one that I expected it to be. I’ll have to admit that i have a certain bias when it comes to Davina Porter’s narration – to me, she is the epitome of an audiobook narrator and I judge many of the other books that I listen to against my experiences listening to her. And her narration of Cold Comfort didn’t disappoint. For a non-Icelandic speaker, the pronunciation of certain names/words sounded authentic (although, I would love to hear the authors take on that) and it helped me be able to visualize in my head how to sound them out in the future. Although Icelandic, Finnish or another Scandinavian language is on my to-learn pile for sometime in the future. Although I have to admit that a few times while I was listening, I thought that I picked up on more of an English accent than what I assume an Icelandic one would be – but it wasn’t enough to distract me from the narration. I have been impressed with previous audiobooks released by AudioGO in the past and this one was no exception. I’ll definitely continue to look to them for more audiobooks in the future. All in all, I have to say that I was glad I continued with the series and hope to see book 3 in the near future (the author has the title posted to his website, so I can only hope). I would recommend this series to people who like the slower pace of Henning Mankell, vice the faster Steig Larsson, as well as anyone who likes James Thompson, although Bates isn’t quite as dark. 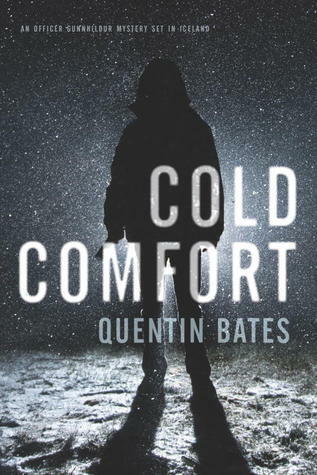 You can purchase the book from Amazon Cold Comfort: An Officer Gunnhildur Mystery (Officer Gunnhildur Mysteries) (Hardcover), Cold Comfort: An Officer Gunnhildur Mystery (Officer Gunnhildur Mysteries) (Kindle) or Cold Comfort: An Officer Gunnhildur Mystery (Audiobook). If can also be purchased from audible.com (account required).